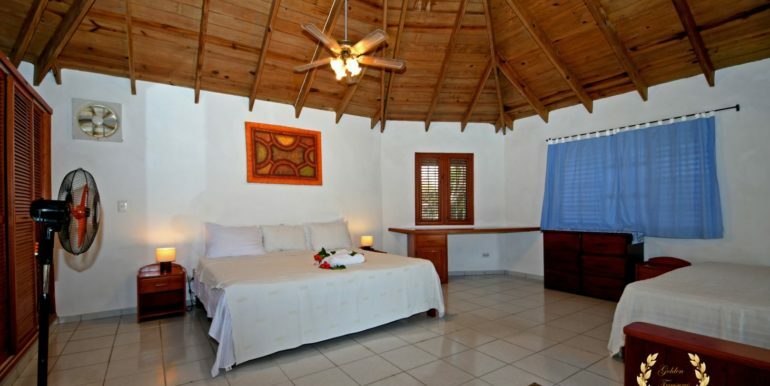 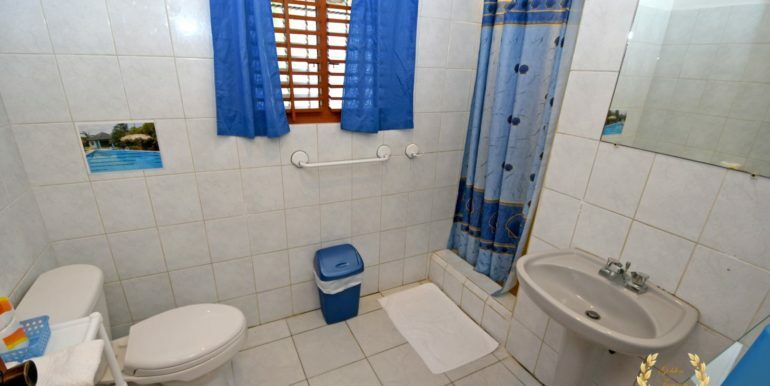 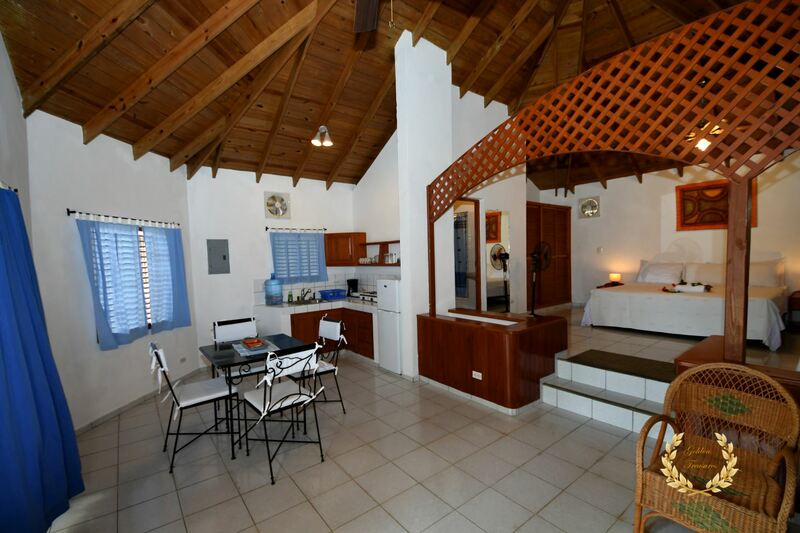 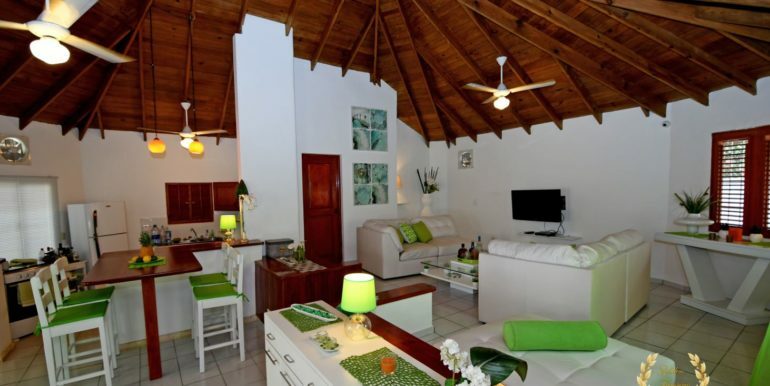 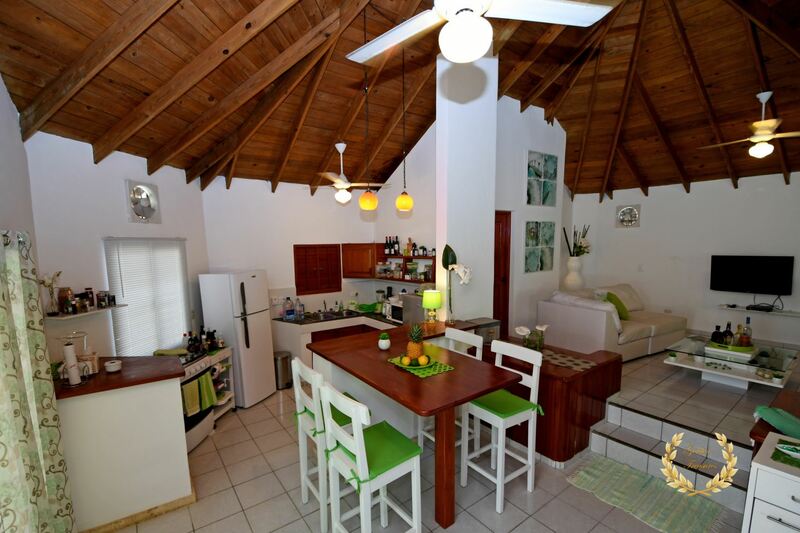 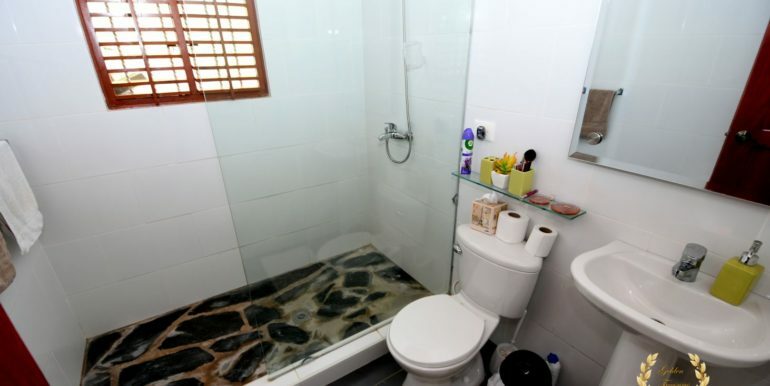 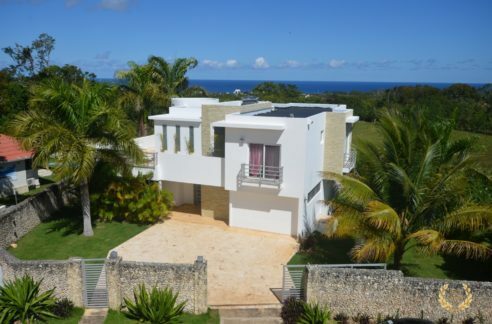 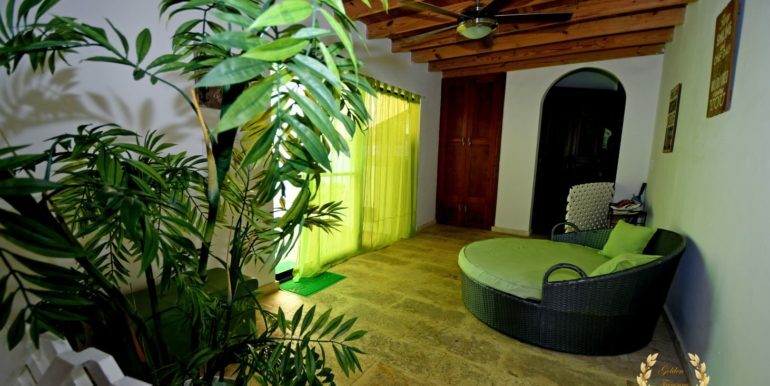 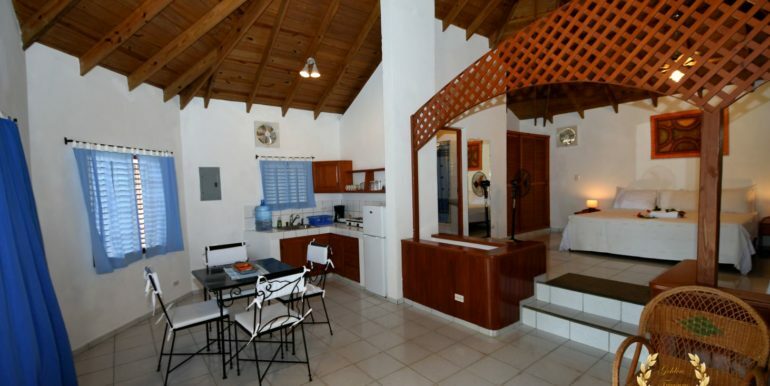 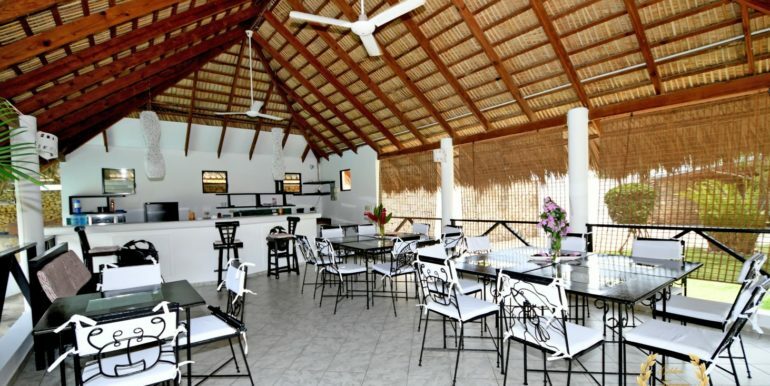 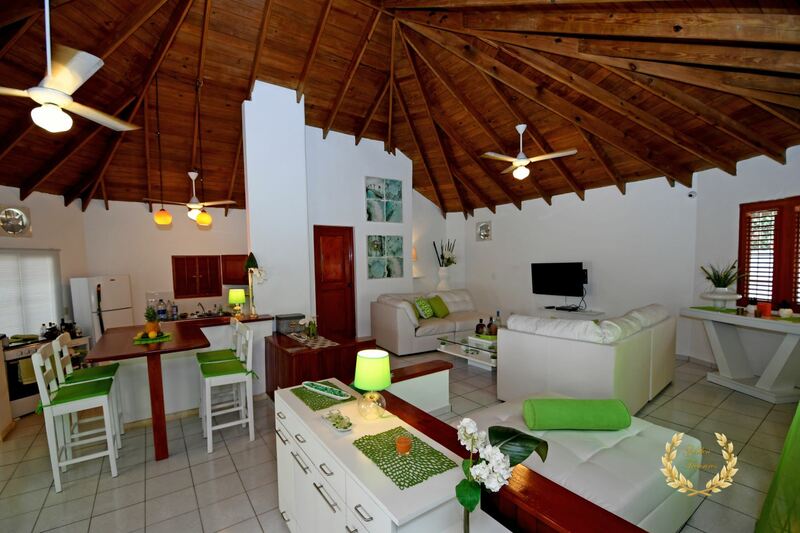 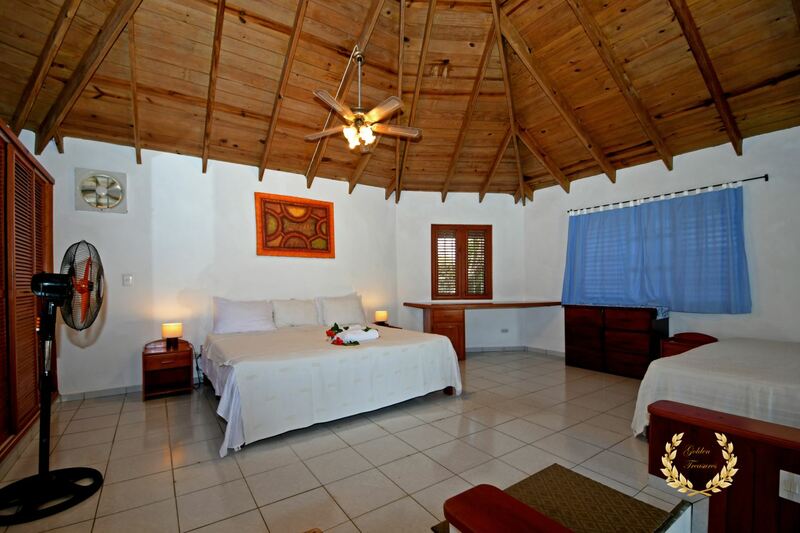 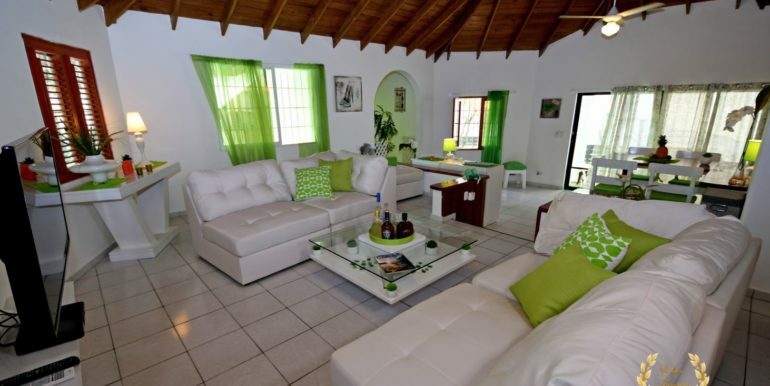 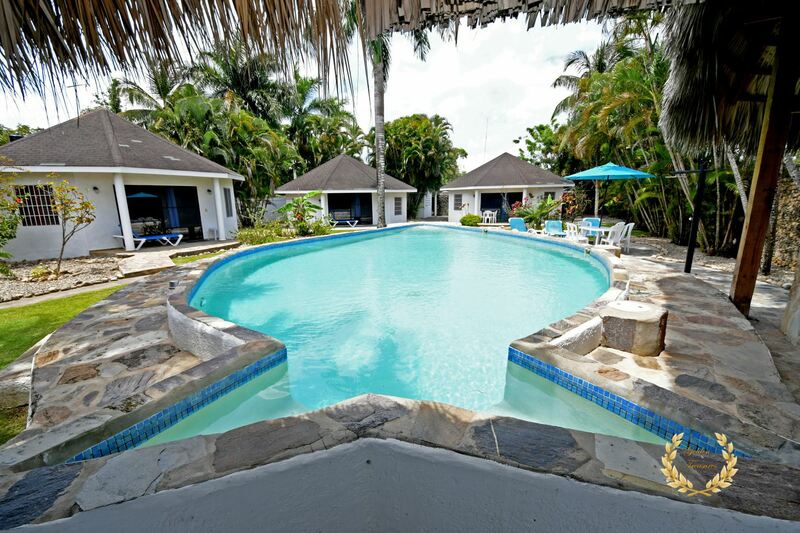 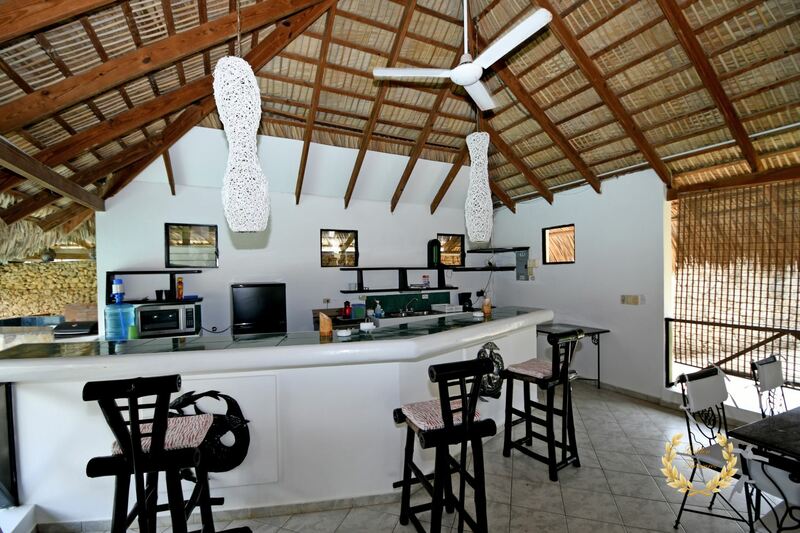 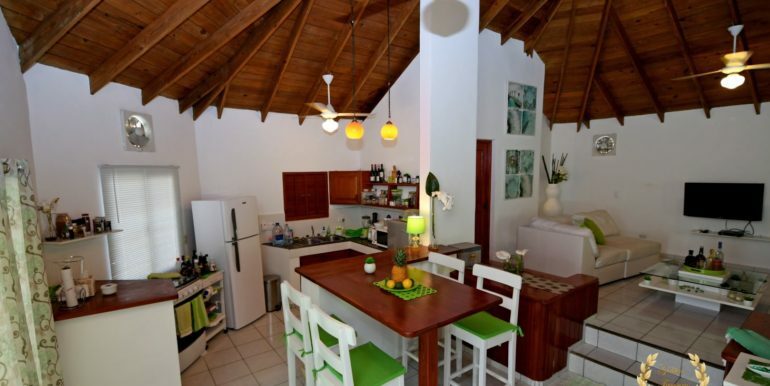 Cozy little hotel bnb for sale in Cabarete made up of six bungalows with bathroom and kitchenette. 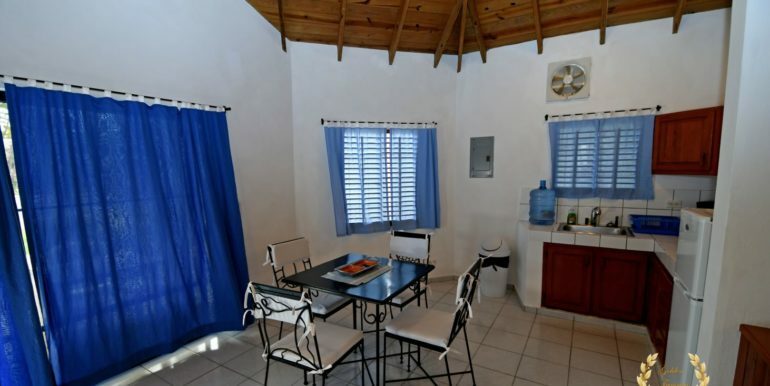 Each unit is furnished, and has cable TV, safe deposit box and Wifi Internet. 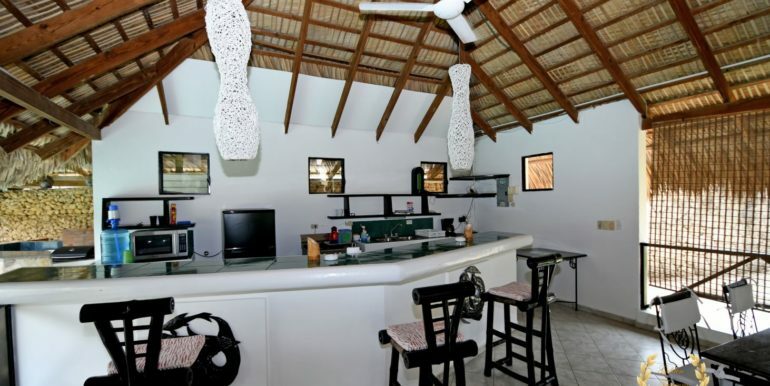 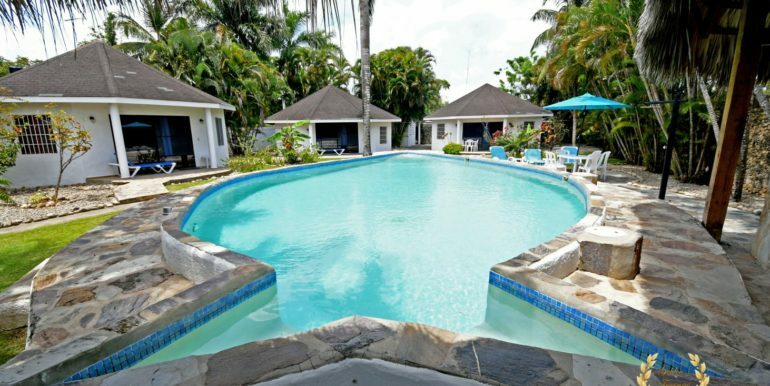 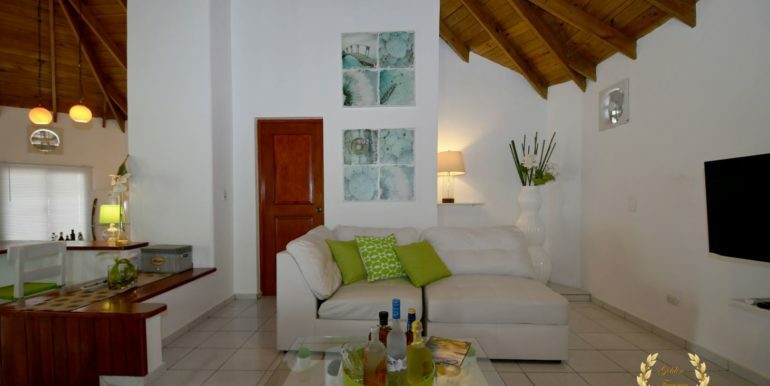 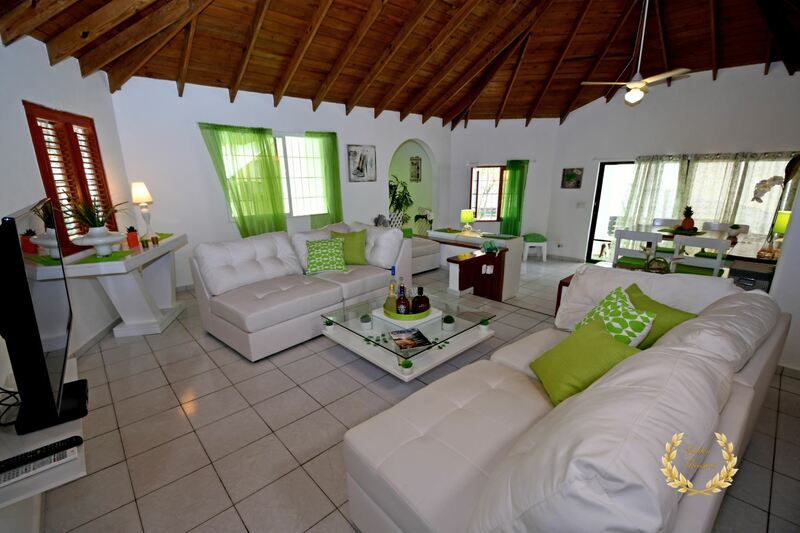 The property has a swimming pool, bar and restaurant with a nice dining area. 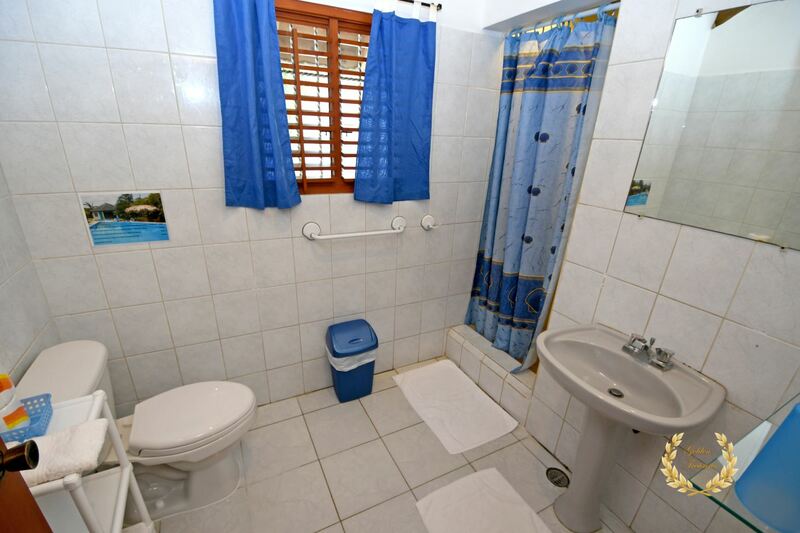 This is a gated property with enclosed parking, external parking, alarm, 15 kw power generator, maid quarters and storage area. 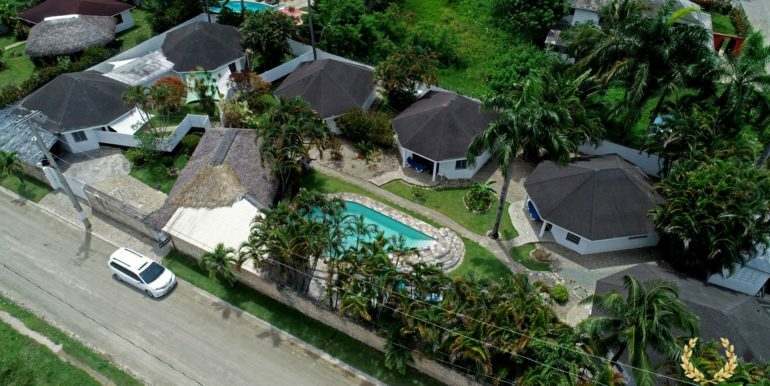 Each bungalow is 75 m2 ( 807.3 square feet. ) 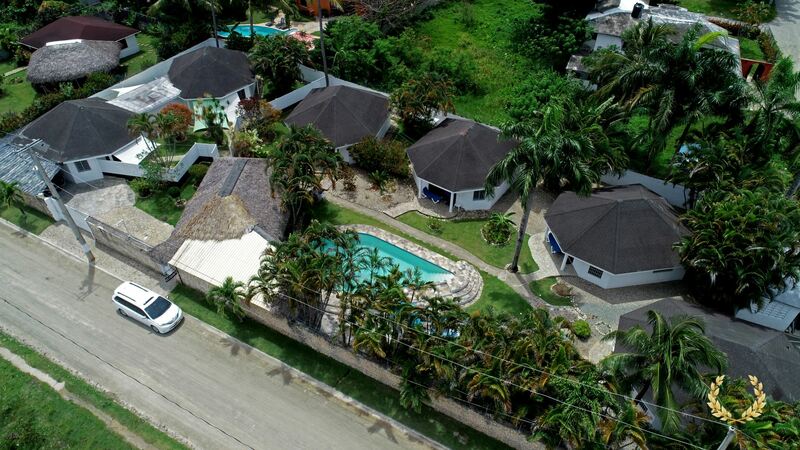 and the total land size is 1919 m2 ( 20,655.94 square feet ). 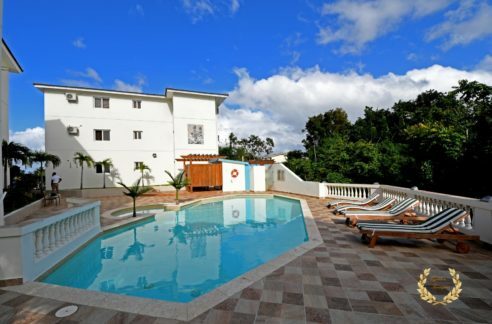 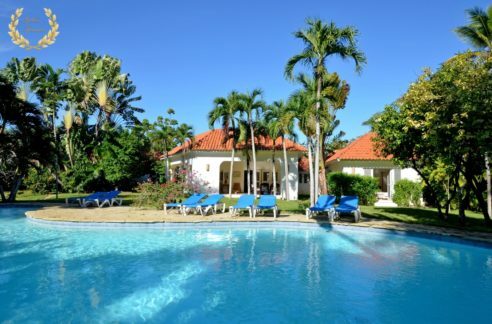 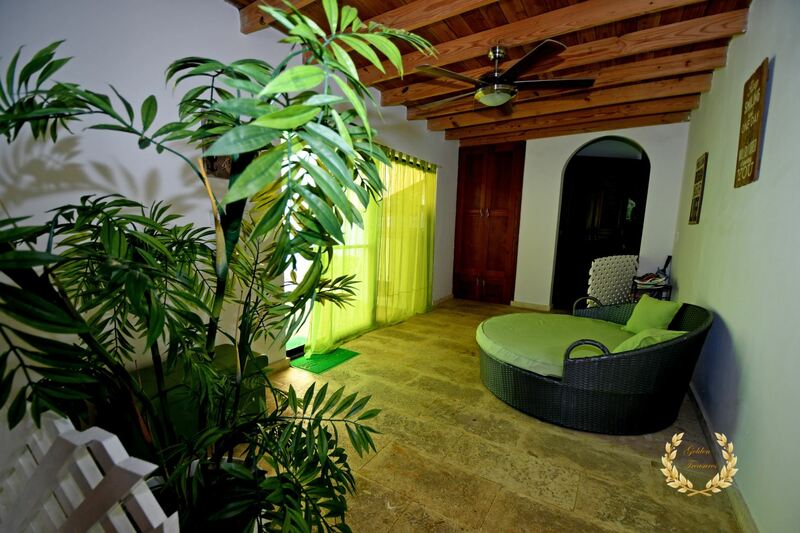 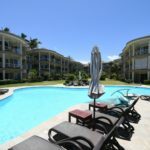 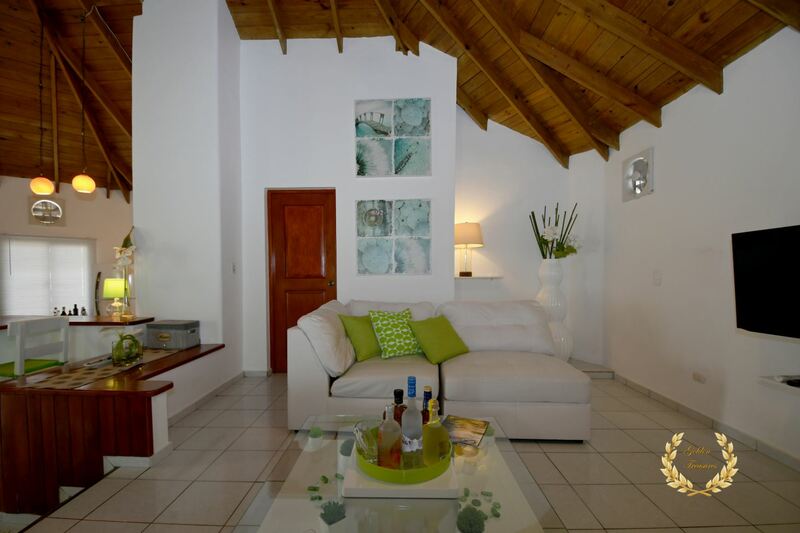 Its location is just minutes within walking distance to the best shopping malls and the beach of Cabarete. 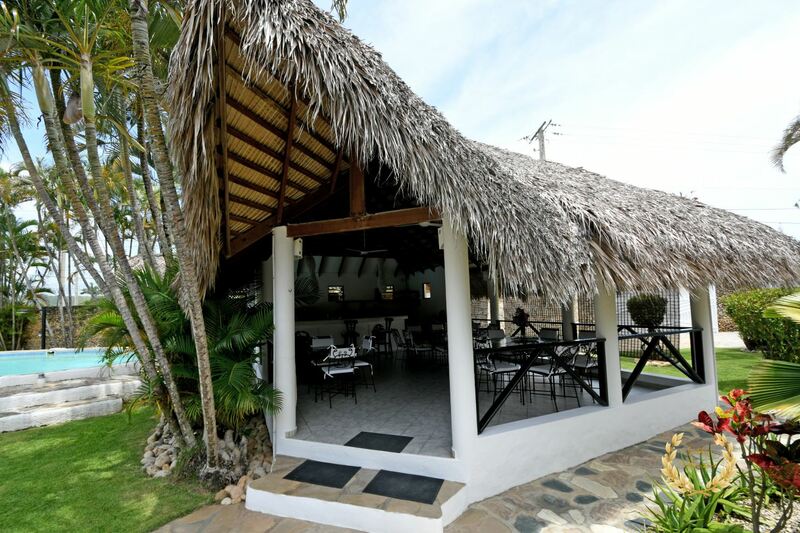 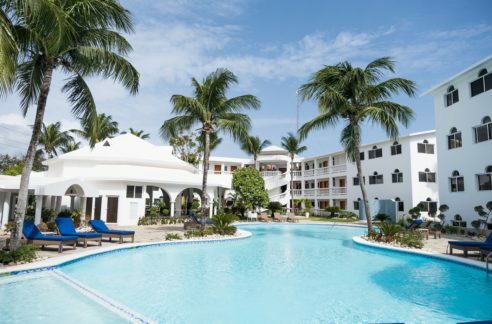 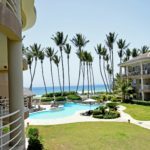 Perfect hotel for kite surfers and other tourists coming to the Cabarete area who would rather stay in a quieter place to relax and unwind away from noise and crowds. 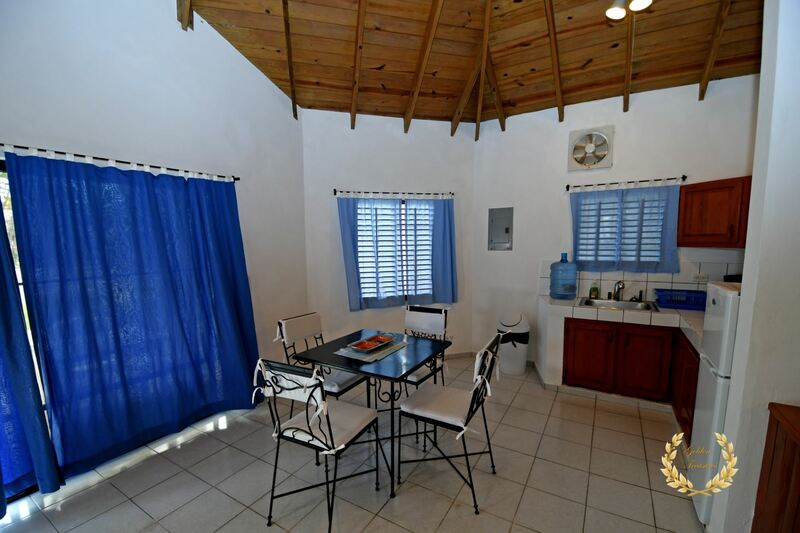 Two of the cottages are now joined by a hallway, as a two area home for owner or tenants, comprising 3 bedrooms and 3 bathrooms. 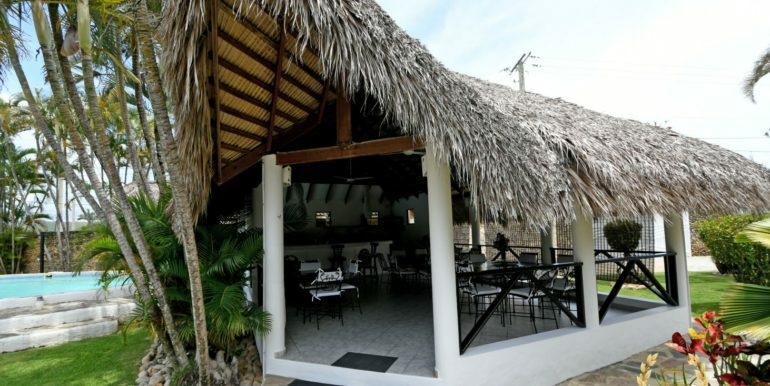 The restaurant has been upgraded and a fence now adds privacy to two of the cottages for convenience. 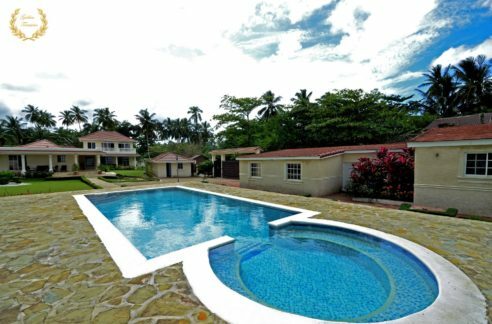 Available land for sale right next door allows for expansion, quite convenient in one of the best spots in Cabarete, can walk to the beach. 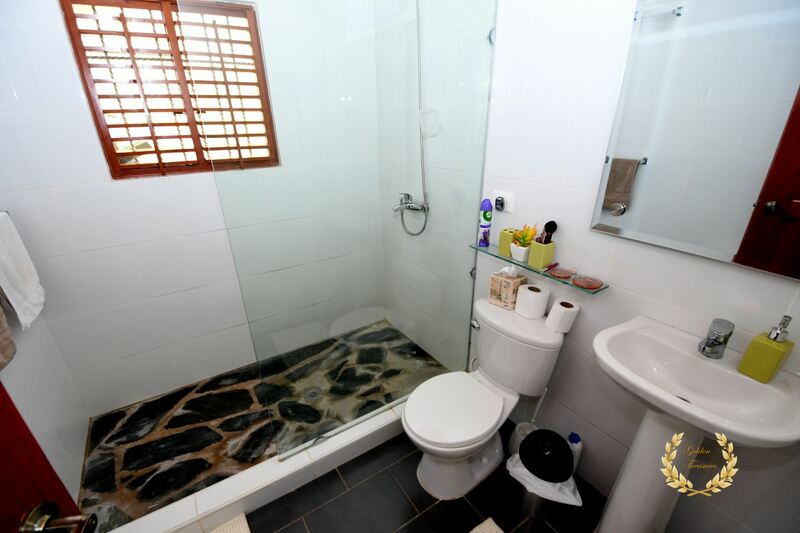 Construction size is 500m²= 5381.955ft² and that includes the facilities. 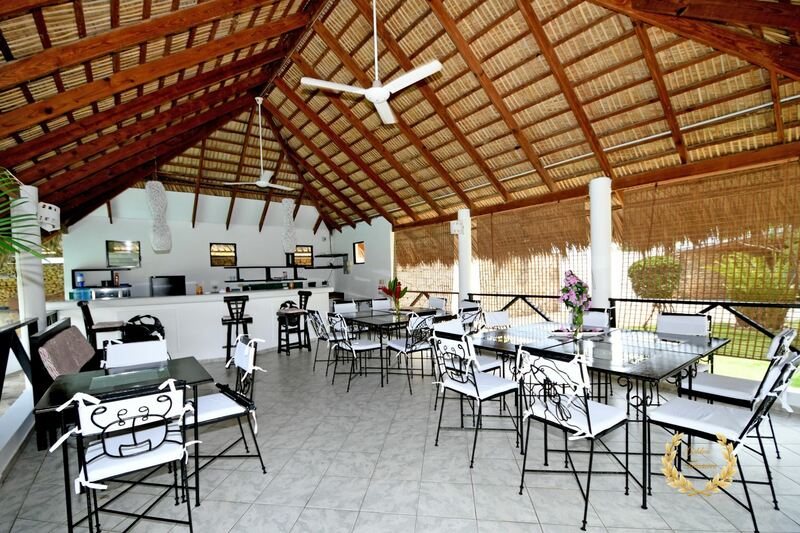 The location is very private and quiet, perfect for anyone searching for a commercial property to establish a small hotel or bnb business.